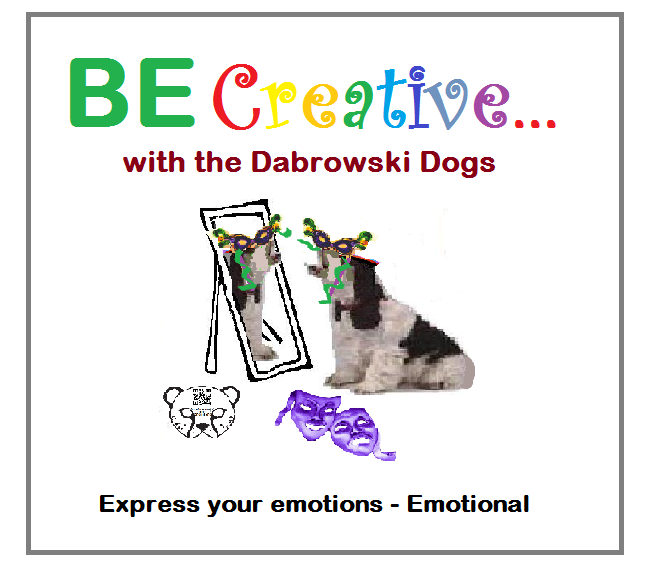 The Dabrowski Dogs were happy to contribute a poster each on the topic Be Creative with the Dabrowski Dogs. Here are the posters they contributed. 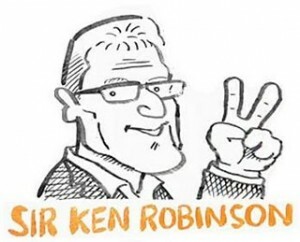 This is my first entry in the Calling all Bloggers: Sir Ken Robinson blogathon. Like so many children, Sprite often has unexpected observations and insights to contribute to discussions; so I decided to ask her opinion on the videos before writing my blog post. Me: Yes, you can be very creative at times. (Mentally I added – Take as an example some of your excuses for not handing in your homework! Me: I like to think I am. 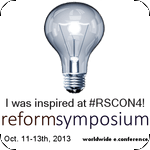 Sprite: But Sir Ken Robinson said children are creative and then they grow out of it – so does that mean you are childish? Sprite: Why am I creative? I could see a conversation comparing the cartoon picture of Sir Ken to the real Sir Ken in the videos looming. 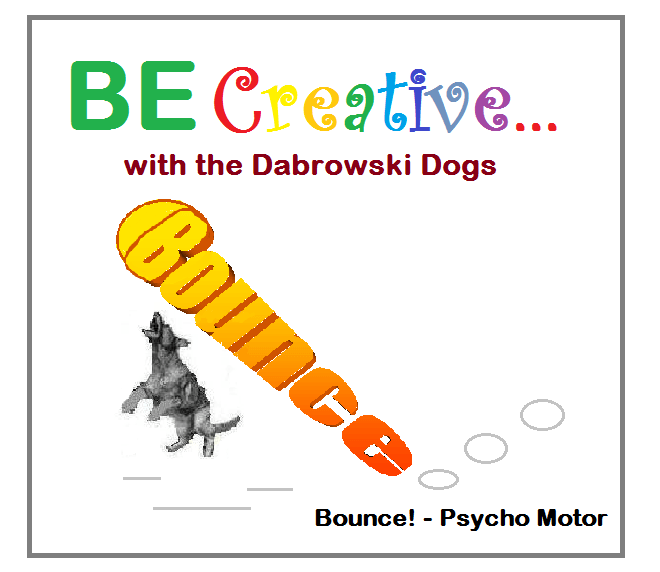 So instead I opted for deflecting attention to the influence of Dabrowski’s Overexcitabilities, particularly the Imaginational. 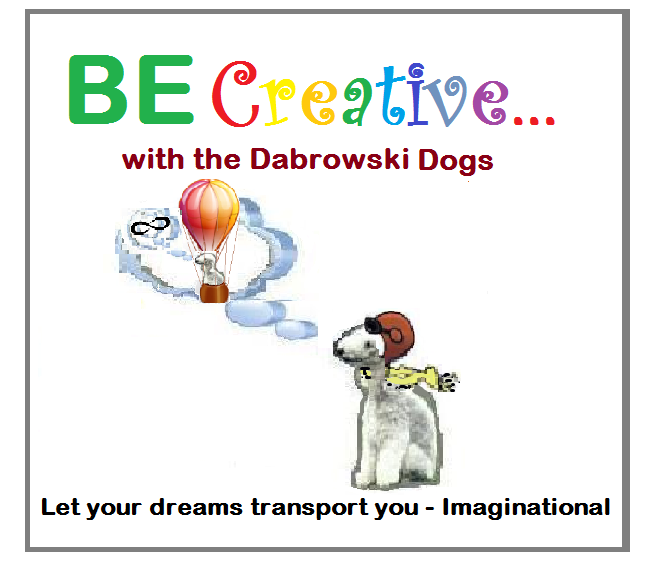 Me: Probably because you spend so much time with Imaginational Dabrowski! 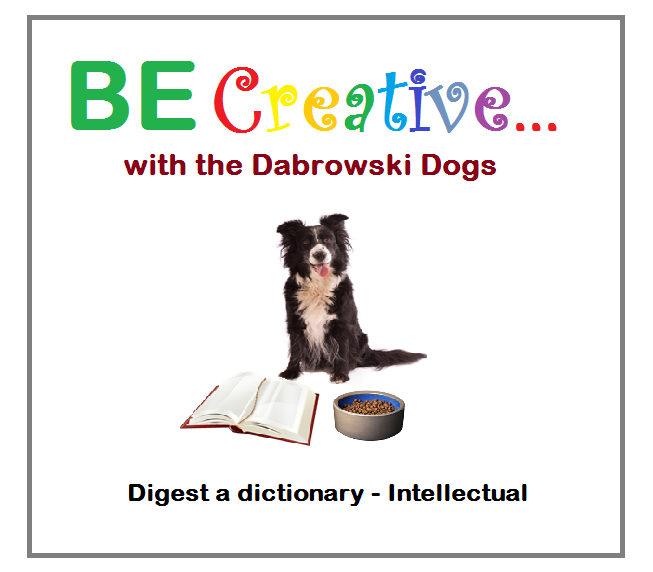 Sprite: Do you spend time with Imaginational Dabrowski too? Sprite: We are not allowed to take dogs to school. When Mary’s dog followed her to school they rang Mary’s mother and said to come and get him and take him home. So Imaginational Dabrowski hides just outside the window. Sometimes he pretends he is a lamb and sometimes he flies around in a hot air balloon. 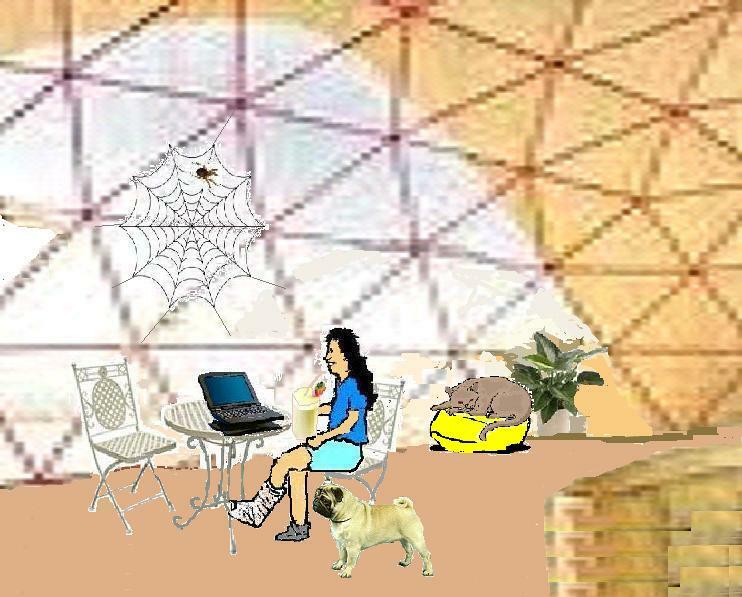 Arachnid was busy with web design for a new domain and Caramel Cat had regained dignity and decorum and was sleeping off the effects of the Paws for Poise cyber dog grooming parlour experience.